Beautiful things that have a practical purpose exist. For instance, rain chains are an attractive alternative to traditional downspouts. People use rain chains to collect water from the roof of their home to a rain barrel or catch basin. 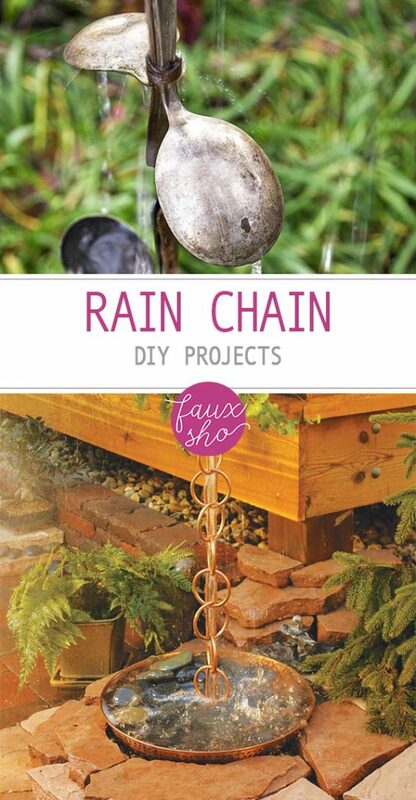 Rain chain DIY projects take just a few hours to make, and they are an affordable alternative to store-bought ones. Store-bought rain chains can be pricy. Save money by making your own out of repurposed or inexpensive materials. When it comes to rain chain DIY ideas, you can construct yours to be as basic or as elaborate as you want. As long as your rain chain gives the water a way to move from the roof of your home to the ground, you can let your creativity flow. If you need tools, then take a look at the products that are available from Hoss Tools. From basic garden tools to seeders, you’ll find what you need. 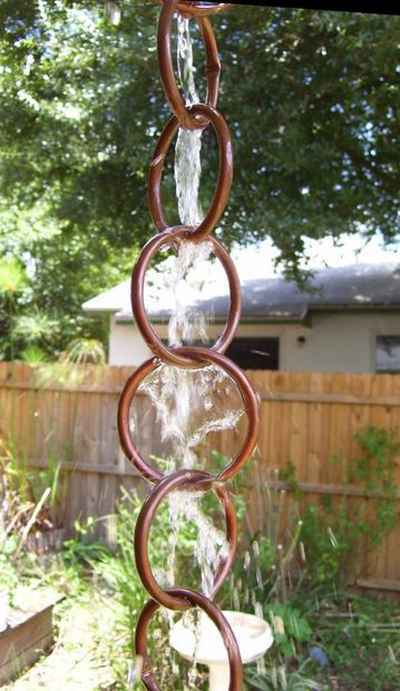 Large copper rings make an especially pretty rain chain. 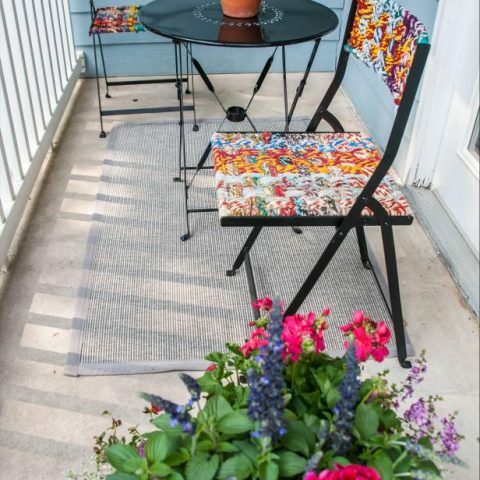 This outdoor DIY project is durable, and it suits most architectural designs. If you need a little whimsy in your life, then go with rocks connected to one another via copper wire. This type of rain chain is easy to put together. You can also make an adventure out of searching for and selecting the rocks needed to build it. Metal buckets or pots are another way to go. While either option exhibits a folksy look, you could add one to the outside of your contemporary home for an eclectic touch. 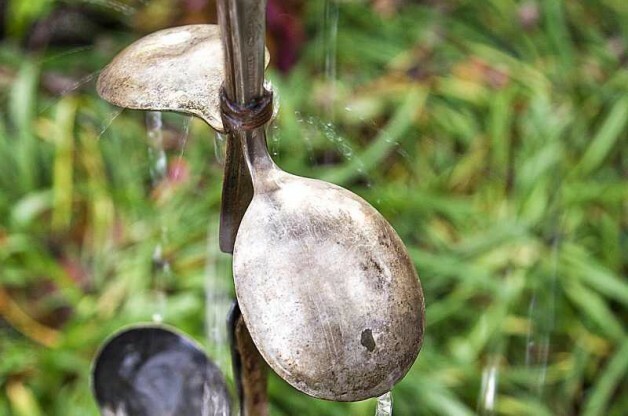 Spoons make a striking rain chain as does one made from funnels. If your budget or time is really tight, then just make a simple rain chain out of zip ties. Scrap metal is another option, one that will let you use every ounce of your imagination and creativity. For more decorating ideas, head over to Home Square. 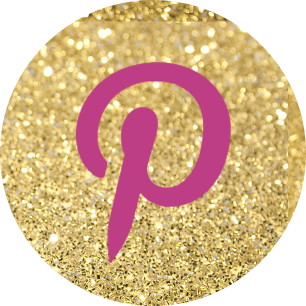 The site features home decor for inside or outside your home. 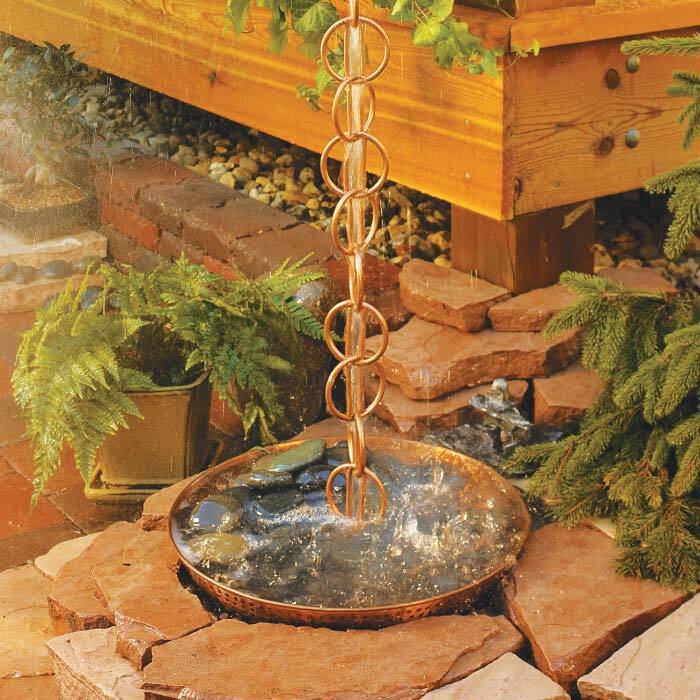 With rain chain DIY projects, you’ll not only be adding a unique design element to your home, but you’ll also be placing a useful object onto its exterior, one that will work to protect your home even as it beautifies it. We found DIY rain chain projects at Off Grid World and Homestead and Survival.